This villa could be paradise for those that seek wellness, quietness, and relaxation in the island of the gods. 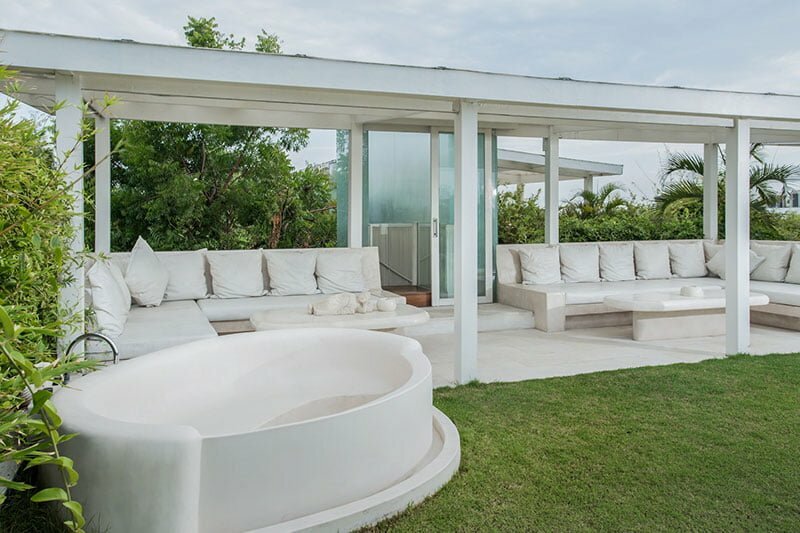 Villa Eden Kaba Kaba is a four-bedroomed holiday home in Canggu. The villa is engulfed in tropical bushes neatly landscaped in the extensive property. The villa itself is a complete package of accommodation, relaxation & adventure in the dense woods, and waterfalls There is also a tree house if you want to nest with the birds high up in Canggu skies. Nature’s goodness abounds here. The gardens are peaceful and thriving with exotic trees, rice paddies, and opportunities for exploration, relaxation, and meditation. As an addition to this scenic landscape is an 18-meter infinity pool that has been designed to appear high up in the green foliage. The calm waters will soothe away your lethargy and worries in the afternoons. There are two sun loungers close to the pool areas. Guests can ease into to relaxation in this villa thanks to the privacy and tranquility of the surroundings. Be it a wedding, a birthday or a honeymoon Villa Eden Kaba Kaba is the most deal venue. The indoors are pleasant with contemporary color patterns and traditional flair. The living areas are enticing with intricate designs on the walls, the floor, and upholstery. The living room is open-sided and sits adjacent to two bedrooms on the ground floor. Guests can relax and enjoy the soothing breeze from the outside as they drink in the view of pools and the tropical thickets from witch hummingbirds tweet and chirp. Next to the living room is the media lounge which is fully air-conditioned and equipped with a flat TV screen and DVD players. The posterior of the living area comprises a kitchen area. The kitchen is designed with all equipment’s necessary for a mouthwatering meal. But there is a private chef ready to take in your menu requests so no need to worry about cooking yourself. There is a master-bedroom on the first floor of the main pavilion. It comprises of a double bed, dressing area, and an ensuite bathroom. The master-bedroom has a balcony with a day bed and sofas. Guests can choose to have private dining or massage sessions on this balcony as they enjoy sweeping views of the pool and the jungles. There are additional two bedrooms on the ground floor. They exude luxury and opulence, with large mirrors, full TV screens, and posh double beds. 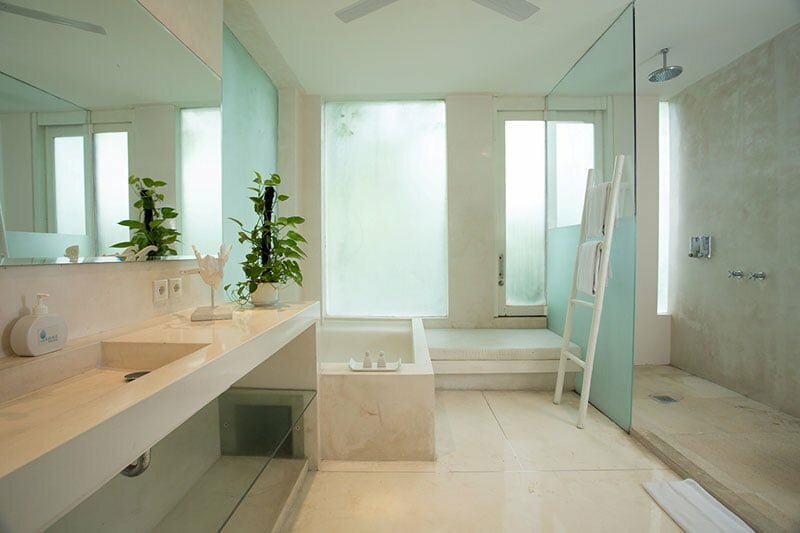 The rooms also feature a dressing room that opens out to the ensuite bathroom. The room is airy with Alang Alang ceilings. 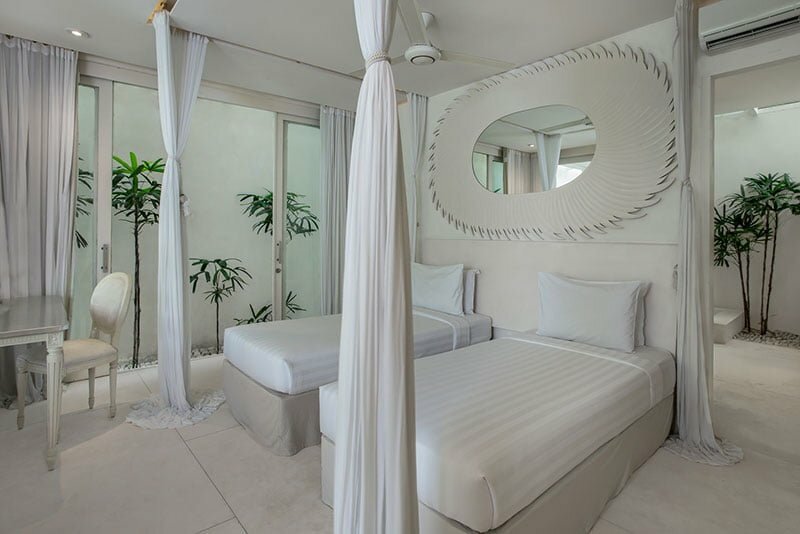 There is a four-poster bed, a TV area and balcony place for romantic dinners under the Balinese skies. The tree house also houses an ensuite bathtub and a kitchenette. Villa Eden boasts of friendly staff who stretch the limits of guest satisfaction with their cooking as well as housekeeping among other services that they offer. Surrounding Villa Eden is the enchanting countryside of Kaba Kaba. Canggu with its attractions lies just 15 minutes away. Things to do here include a tour of the Tanah Lot temple, the Echo Beach and Ammo Spa.